Now there is even more control with the PN 7761 module for the Power Grid System Controller. This module sets rpm limits based on slew rate (rpm acceleration) or based on time since launch. All of this is programmed seamlessly in MSD View. 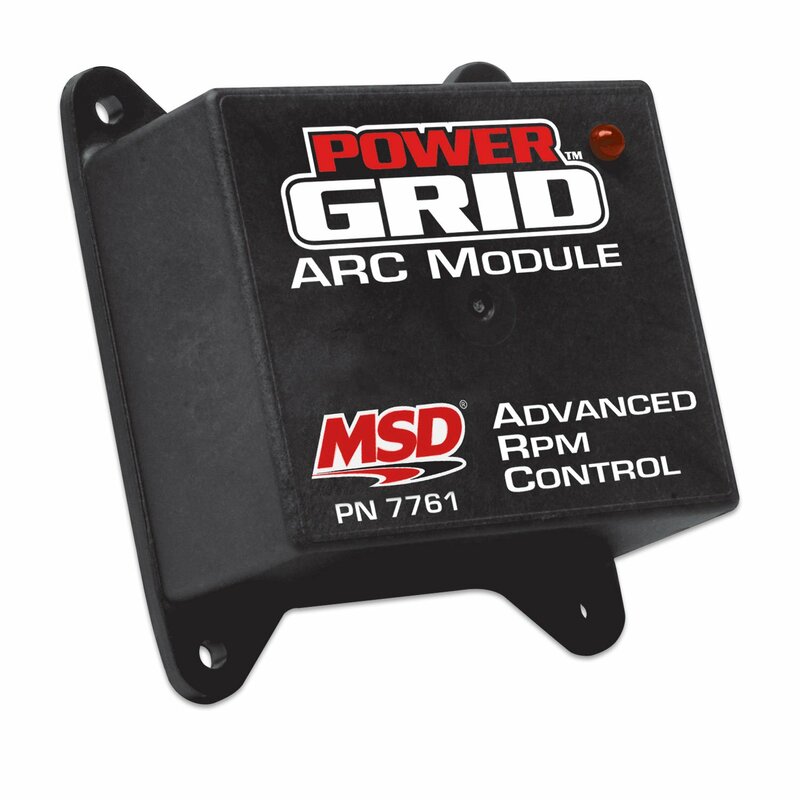 The ARC module stands for Advanced RPM Control, it basically allows your race car to remain consistent, pass after pass, controlling your engines rpm curve during a pass. This helps you get down the track quicker and far more consistent. 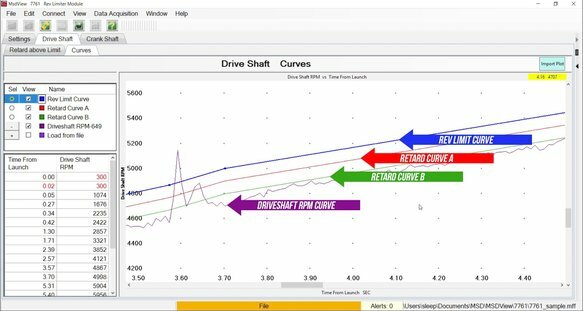 By using the MSD View software we can control the rpm down to a hundredth of a second and control the driveshaft speed for maximum traction. We can also pull out timing for a split second should we encounter tire slip. Set 3 different timing Retard curves and a Rev Limit Curve to control wheelspin.